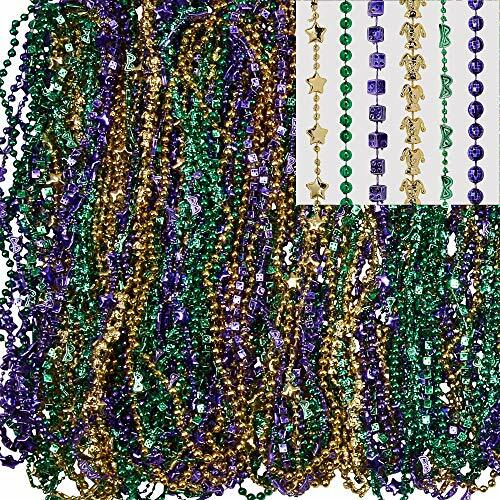 Wear the Mardi Gras Bead Necklaces to your favorite party and add some shine to your party outfit. 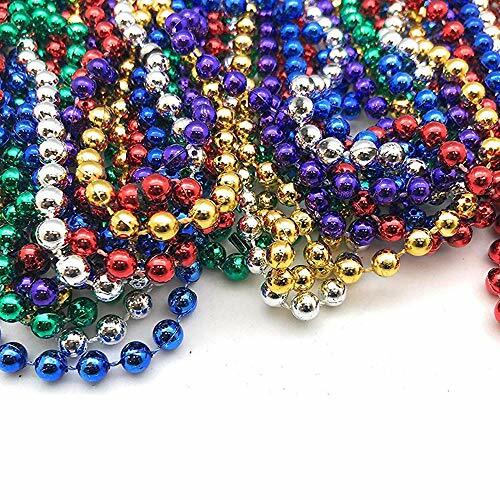 These colorful metallic beaded necklaces come in blue, gold, green, purple, red and silver. With so many options, matching them with an outfit won't be a problem. Each necklace is 30 inches long, and the beads are 1/4 inch wide x 3/8 inch long. 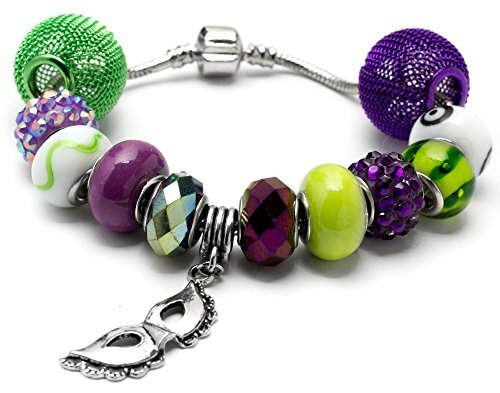 Pair these colorful carnival party accessories with your party outfit for a fun look. 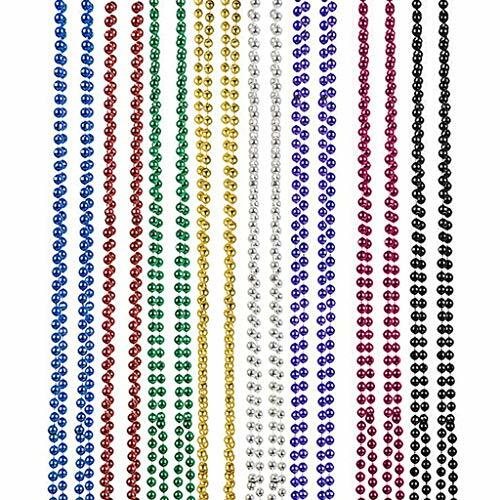 Use these 720 bead necklaces at your Mardi Gras event to accessorize your entire guest list! Intended for adult use only. 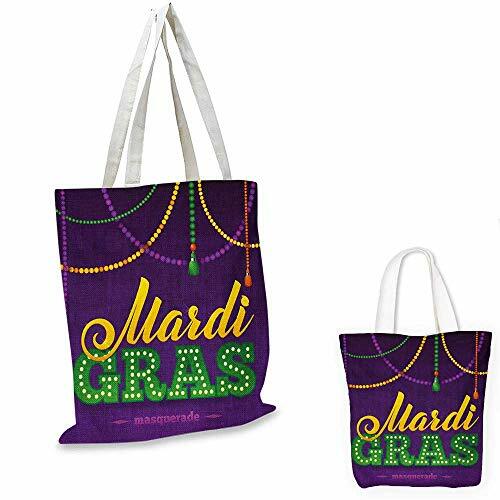 Mardi Gras canvas messenger bag Beads and Tassels Masquerade Theme Calligraphy Design Fun Print canvas beach bag Purple Marigold Fern Green. 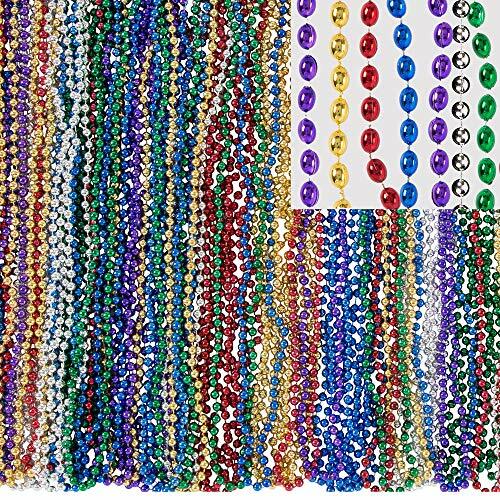 14"x16"-11"
Here's a video to show you what you can make with all your Mardi Gras Beads! 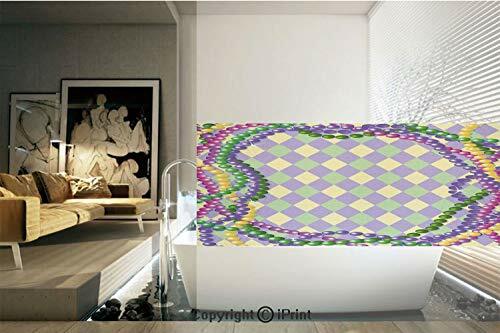 Some cool Bead art! 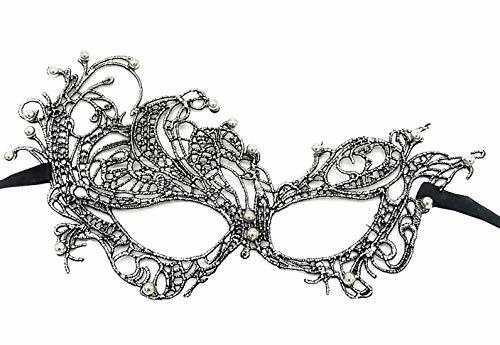 Make sure you have a few hours to kill to make one of these and have fun!